Where's Your Money, Mutual Fund Or Stock Market? Where’s Your Money, Mutual Fund Or Stock Market? 2017 was a great year for the stock investment. Nifty gave 32% returns while Sensex was close with 29% returns. In any asset class, such returns are considered overwhelmingly good. Needless to say, investors were happy and 2017 is now regarded as one of the most rewarding years in the history of equity investment. However, the number 32% is average of the top 50 stocks listed in nifty 50 which are lost blue-chip companies. The average of Nifty midcaps was even better. This is a clear indication that the overall performance of all the indices exceeded expectations. Now let's shift focus to the equity mutual funds. Equity mutual funds are the funds which invest their money in equity. Naturally, if equity, the underlying asset, did so well all the equity funds must have done well. Why People Prefer Mutual Fund Over Direct Equity Investment? There are various reasons why people take a safer route to wealth creation, one of the foremost reasons is that majority of the people have many misconceptions about stock investment. There is a widespread belief amongst people who are not exposed to the facts of the stock market that it is a place for gamblers and fixers and that everything that goes on there will eat up their money. Though we all know for the fact this is not true, but we can't completely rule out their apprehensions that money evaporates in the share market. Future &; Options trading is more than capable of gulping away money without a trace. Contrary to that, in mutual funds, the money is under the watch of highly qualified fund managers who would keep it well invested. So it is the fear of losing money which holds many investors from investing in equity. If it's true, it's a matter of concern. To build wealth, investors need to have a certain risk appetite. Why Investors Should Invest Directly In Stocks? The mutual fund investment is safe, however, when it comes to returns, mutual fund or any other asset class is no match to direct stock investment. 2017 was one of the most rewarding years for Nifty & Sensex. A closer look would tell you that Nifty midcaps had a golden run as most of the mid and small cap stocks gave as good as 300% returns in the period of 12 months. Generally, midcaps are regarded as wealth builders, even in mutual funds midcap equity funds have been performing well. One of the reasons most of the investors opt for a mutual fund is that they are averse of high-risk investment. However, the fact they fail to realise is that when they choose equity mutual fund over direct equity investment they are signing up for the same risk that they will face when they go by the direct route. Even the Riskometer of the fund says that investing in midcap funds is a high-risk proposition. You might have read the disclaimers like "the past performance not a guarantee of the future". Therefore investors shouldn't live in this false assurance that mutual fund investment is safe. It is as rewarding and as volatile as its underlying asset - the equity stocks. Talking about risk, it is important for an investor to have a stomach for risk. In equity, whether it is small cap, midcap or even the "reliable" bluechip stocks, pose a certain degree of risk to your capital. Investors should be willing to take a calculated risk if they want to build a wealthy portfolio. Those who don't want to take any risk usually invest in the government or corporate bonds or debt funds. The safety of debt funds come at cost of low returns. Debt instruments are good for capital preservation with nominal growth, but they can never be looked at as wealth builders. For wealth and growth, there is only one medium - equity. Let's look at some of the top-performing mutual funds of 2017 in the midcap segment. IDFC Sterling Equity Fund - The current NAV stands at 56. The fund has given 35% returns in last one year. The total Asset Under Management (AMU) is Rs.2,483 crore as on Jan 31, 2018. The point to note here is that the expense ratio of the fund is 2.07% which is a little higher but agreeable. But as the returns have exceeded expectations, investors can overlook this factor. In the midcap regular fund segment, this fund stands as a leader and heavyweight funds like Aditya Birla Sun Life Pure Value Fund and Edelweiss Mid and Small Cap Fund which have better ratings, fall back in terms of returns. Edelweiss Mid and Small Cap Fund - The current NAV of the fund is 29.16. Edelweiss is one of the leading fund houses in MF industry. The fund has given 33.17% returns in last one year. The returns of this fund come close to IDFC Sterling Equity Fund but it has the high expense ratio of 2.28. The total AMU is Rs.640 crore as on Jan 31, 2018. Which is less than the peer group but agreeable as per the standards of equity fund. L&T Midcap Fund - The current NAV of the fund is 29.16. L&T has been some of the best performing funds in its fold in all the segment and asset class. Talking about this fund, in last 1 year, the fund has given 29.30% returns. The expense ratio of the fund is competitive at 2.17%. The total AUM of the fund is Rs.2,222 crore. Note - One year's period is too less to understand which way the fund is going. It is always advisable for the investors to check the last 5 years performance of the fund to get a sense of where the fund may go in future. Even when you have invested in a fund, checking the fund's performance every now and then will not do you any good. The best way to invest in MF is to invest with a long-term view with quarterly review of the performance. There were many mid and small cap stocks which did exceptionally well in 2017. There were also talks that some companies are commanding more premium than they deserve. But that's regular phenomenon in a bull run, prices inflate unreasonably. But let's look at some of the companies which rose strictly on the basis of demand and supply and are still going strong. HEG Limited - The stock gave astonishing growth of 1200% in the period of 1 year. That simply means if you had invested Rs.1000 in this stock a year ago today its value would have been Rs.12,000 to date. That's unprecedented. Now let's understand why the price moved exponentially. HEG Limited is in the business of manufacturing of graphite electrodes. Graphite electrodes are used for refinement of steel and similar smelting processes. But How Did The Stock Perform So Well? It's not that just HEG Limited which did well last year. The companies which are operating in the similar business like Graphite India and Goa Carbon also witnessed the similar rise in their stock price. The reason of this was the demand for graphite electrodes was not met with adequate supply from the Chinese companies. In China, due to a serious issue of the air quality, the government had asked industries to stop production for some time. This caused a roadblock in the supply chain. The industries looking for graphite electrodes shifted their focus to India and the production of graphite electrodes in the above mentioned Indian companies got a huge boost. As a result, HEG Ltd, Graphite India and Goa Carbon enjoyed a great run and this turned the stocks of these companies into multibagger stocks. Graphite electrodes was one sector which got lucky in 2017. The point to note is that all the above-mentioned companies are still going strong as they have solid fundamentals. But there were other sectors and stocks which did well, too. Stocks like Apex Frozen, Visaka Industries Limited, DHFL and GNFC are some of the companies that did exceptionally well. Such stocks are important for multiplying the wealth of the investors. DHFL and GNFC are the stocks recommended by Niveza. We recommended these stocks on the basis of their solid fundamentals and robust financials. We had analysed both these stocks and as we expected, they gave sterling returns to our investors. We will discuss this in detail in the later part of the article. Now that we have seen the best of both mutual fund and equity in 2017 it will be easy to understand what fared better. It's a no-brainer - it's EQUITY! The best equity fund of last year gave 33% returns while some stocks have given as high as 1200% returns. So there is no competition here whatsoever. Equity has the potential to bring you incredible wealth. However, there is a reason why people choose MF over equity. Mutual Fund is easy, simple to understand and doesn't require you to check its performance every day. Contrary to that, in equity, you have to find good stocks, run them on the research and analysis parameters i.e check the company's financials, check stock's ratios, and then ascertain the best time to enter. It's complicated and, if you are a person from a non-financial background, impossible to comprehend. For such investors, who want to be a part of the equity but lack knowledge and experience of investing directly, mutual fund becomes the best alternative. 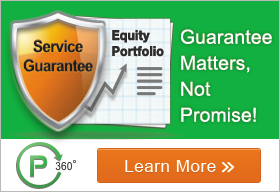 What If Equity Investment Is Made As Easy As Mutual Funds? If the complications of the stock market are the only things stopping retail investors from investing then that can be easily taken care of. In fact, there are ways to make your equity investment as easy as the mutual fund. Your best foot forward would be to avail services of either portfolio management service or a stock advisory firm. Niveza is a stock advisory firm. It specialises in picking midcap stocks for short-term as well as long-term investment. Here are some of the reasons why Niveza is your ideal choice for a successful investment experience. To illustrate this point further here are some of the stocks recommended by Niveza in 2017 which have given good returns. The stocks in the above-mentioned table were given in the year 2017. These are the short-term calls (3-6 months). You might wonder if the mutual fund is giving 33% returns and the average returns of these stocks come to somewhere around 27% then why should one go for equity? Take a closer look and you would see the beauty of short-term investment. In a short-term, once you book profits in one stock you get the opportunity to roll over your capital and the profits in a new stock. In a way, you are getting the benefit of compounding. Hence, it's a smart investment decision to have some part of your capital invested in equity.